Apply now for SlowExposures’ fourth annual PopUp Tour. The 2018 SlowExposures’ PopUp Tour will consist of six shows – solo or group, staged in nontraditional venues in and around Zebulon, GA. This year visitors will be directed to individual shows through our program. We will have incentives to visit each PopUp Show, so your work will have a better chance of being seen by all the visitors to SlowExposures. The PopUp Tour will be open for visitors between Friday and Sunday afternoons and will be a signature Saturday afternoon event, culminating in the PopUp Raffle at SlowExposures Saturday night dinner. Make sure you check out the fine print below. We are thrilled to welcome back John Bennette as our 2018 PopUp Juror! 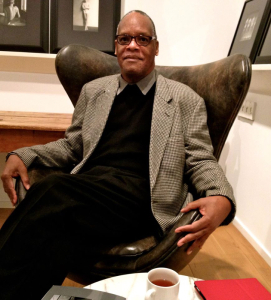 John A Bennette is a collector, lecturer, editor and curator. He has been a portfolio reviewer at Fotofest, Rhubarb-rhubarb and other venues. Mr. Bennette juried his first exhibition for SlowExposures with Ms. Celina Lunsford in 2005 and has been a major supporter of and advisor to SlowExposures since that time. John Bennette has created five stand-alone shows for SlowExposures, most recently featuring the Civil War-based landscapes and portrait photographs of Eliot Dudik. He has curated numerous exhibitions in New York and for the Hearst Corportation, including the Hearst 8X10 Photography Biennial. He was the former Art Director and Art Editor for South by Southeast Photography Magazine. He was also involved with “21st: The Journal of Contemporary Photography” and Focus Magazine as a writer and in editorial positions. PopUp shows should be set up by noon Friday, September 21 and kept open through 3:00 p.m., Sunday, September 23. Arrangements may be made to have “sitters” man your show so that you can participate in other SlowExposures’ events. Lighting and free-standing display accessories are up to you. Participants will be asked to donate one matted print per artist to be part of the PopUp Raffle at the Saturday night dinner. Juried-in participants will be encouraged to deliver a memorable visitor experience to achieve publicity and sales. We’ll provide the venues, the programs, the signage and maps, and the marketing. You’ll be included in our invitation-only dinners on Thursday and Friday nights. And, we’ll do our best to find you a place to stay in Pike County for the weekend! The application fee is $30 ($15 for those who apply by the June 17th deadline for the main show). The application deadline is July 22, 2018. Click here to apply for SlowExposures’ 2018 PopUp Tour.